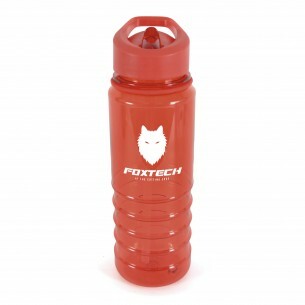 Promote your business by handing these 800ml transparent coloured plastic drinks bottle. Ideal for outdoor and sporting events. They comprise a screw top lid and a fold down sipper. Available in a wide variety of colours, amber, black, blue, green, pink, purple and red. We can print up to 2 spot colours to the maximum area of 60mm x 170mm. Minimum order of just 25 units.